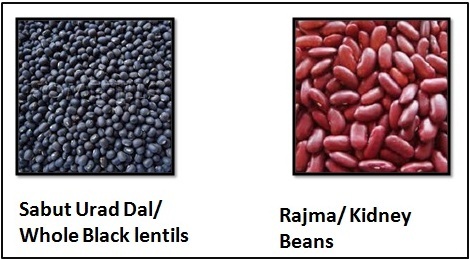 MM's Kitchen Bites: Dal Makhani/Slow Cooked black lentils and Kidney beans…the low to high calorie versions!! 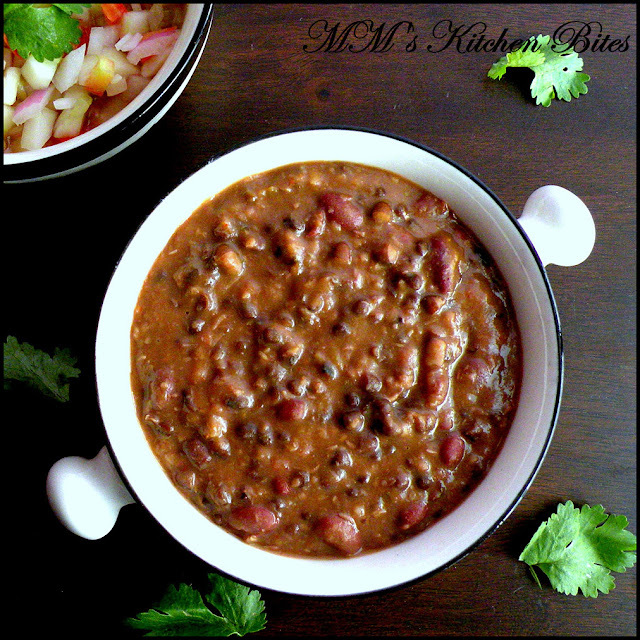 Dal Makhani/Slow Cooked black lentils and Kidney beans…the low to high calorie versions!! Wash the dal and rajma till water runs clear. Let both soak together in water overnight/8 hours. Drain the water, rinse under cold running water and keep aside. Open the cooker once the pressure cools down. Mash the dal lightly against the sides of the cooker/pan with a ladle. Add the balance 1 tbsp ginger paste, garlic paste, red chili powder and tomato puree. Mix well and let the dal simmer on low heat for about half an hour to forty minutes. Add the milk, stir and let it cook for about another hour and half to two hours on low heat stirring intermittently to prevent sticking. If you think it is getting too thick, please go ahead and add some water. Dal is ready when it gets thick and creamy. Should to be served warm and not piping hot…with any Indian bread of your choice. The picture that you see has no cream, butter, ghee added in. And pleaseeee don’t even think of adding any oil to this. Add a tablespoon or two of ghee or butter or cream or all three before serving. Reduce the quantity of milk to half. Add about half a cup of cream about 15 minutes before taking it off the heat. Top with a tablespoon or two of butter at the time of serving. Skip the milk and add about half a cup of butter along with the tomato puree. Add about a cup of cream about 15 minutes before taking it off the heat. Top with another tablespoon or two of butter at the time of serving. This looks so comforting and delicious, like something I could have every evening without getting tired of it. I wouldn't have thought to add milk, but it sounds even creamier that way. prefer the home made version ANYDAY!!! Prawn Masala...doesn't need a tag line!! !